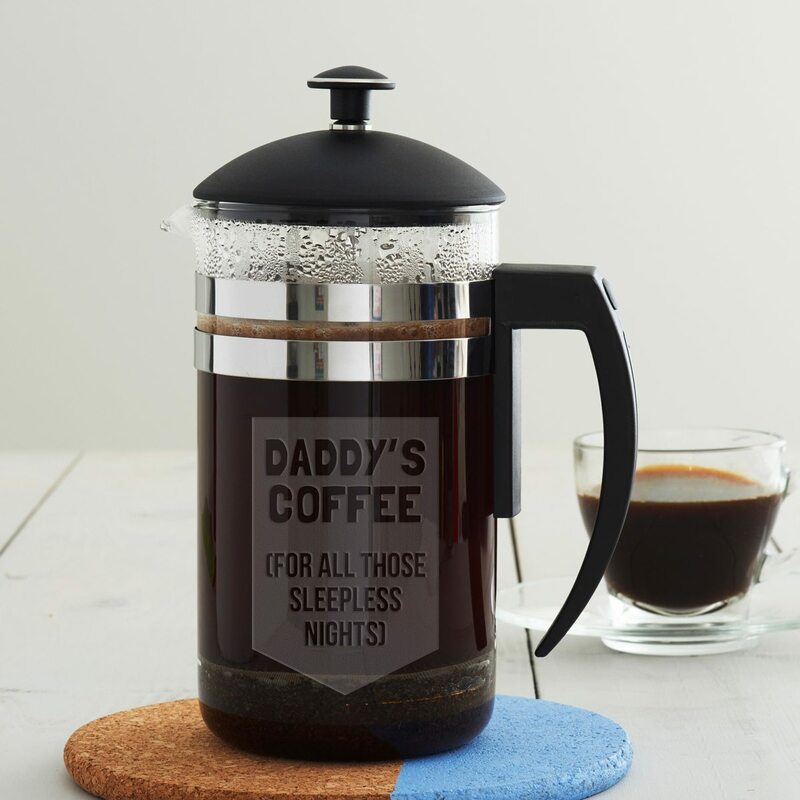 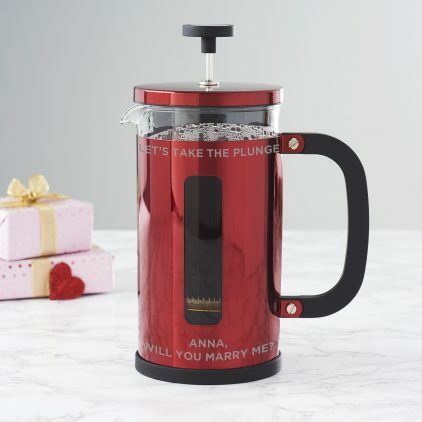 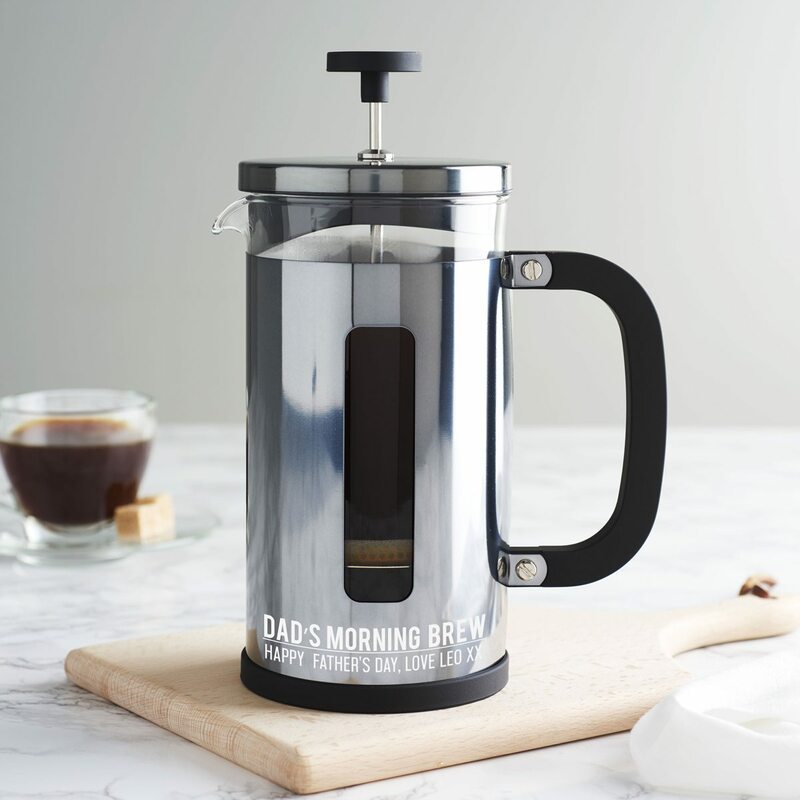 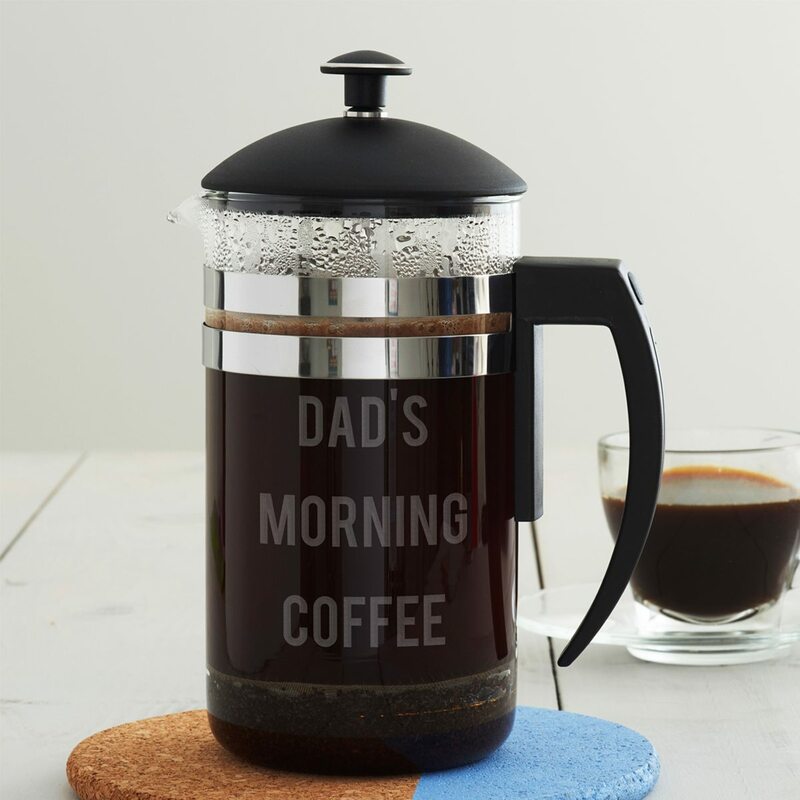 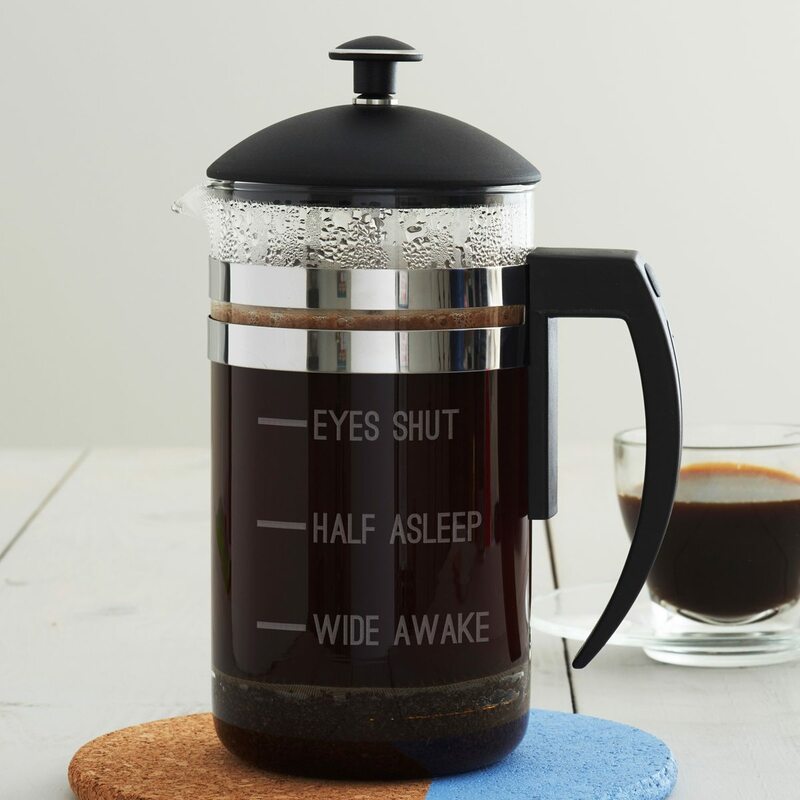 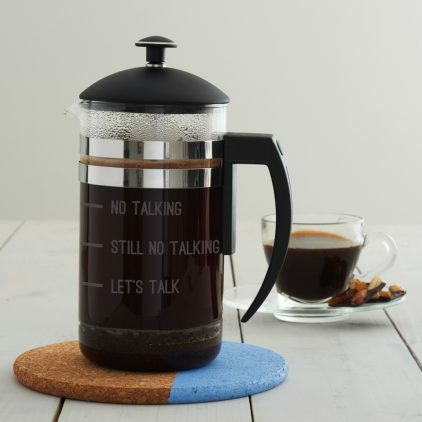 Perfect for caffeine addicts this personalised cafetiere is sure to make your loved ones laugh! 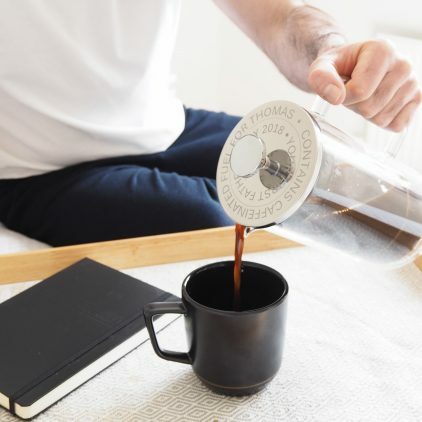 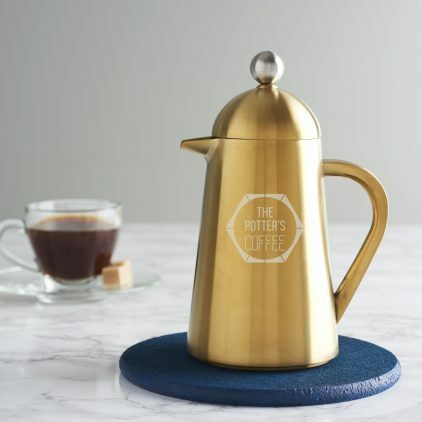 Create your own personalised cafetiere, perfect for coffee lovers. 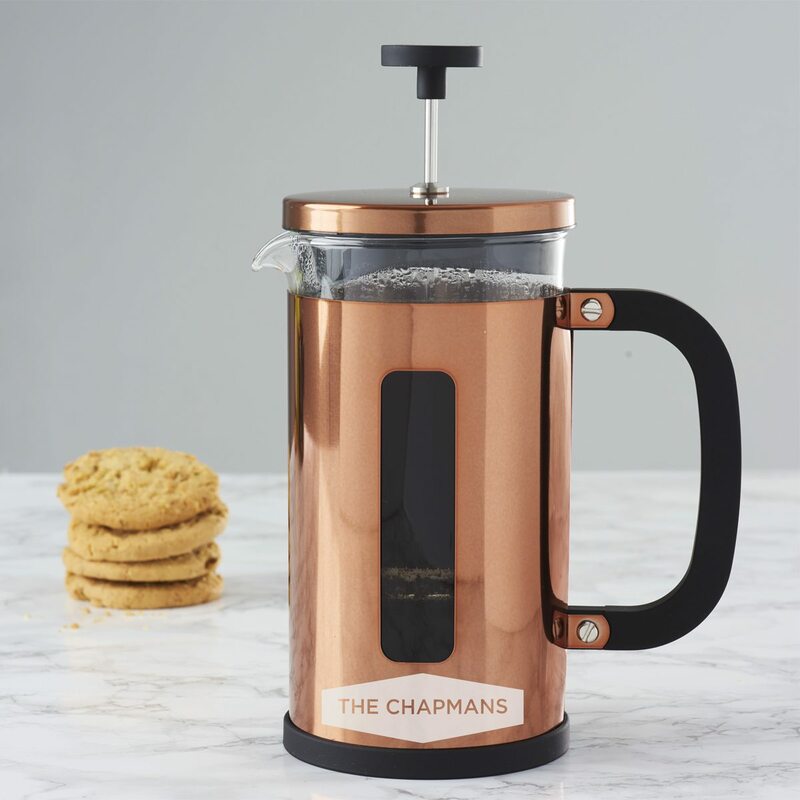 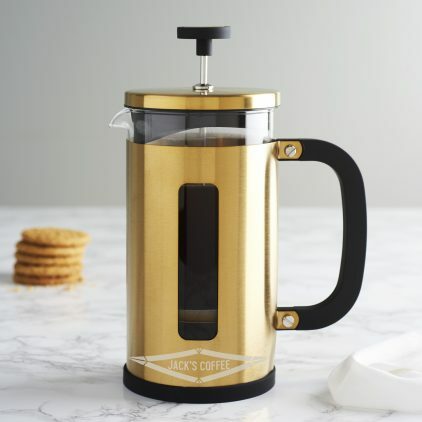 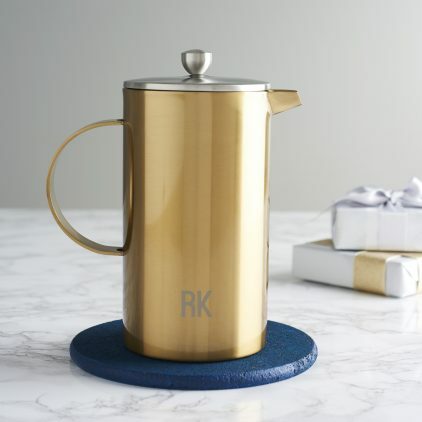 A gold personalised double walled cafetiere will add style and sophistication to any kitchen and is the perfect luxury gift for coffee drinkers this Christmas. 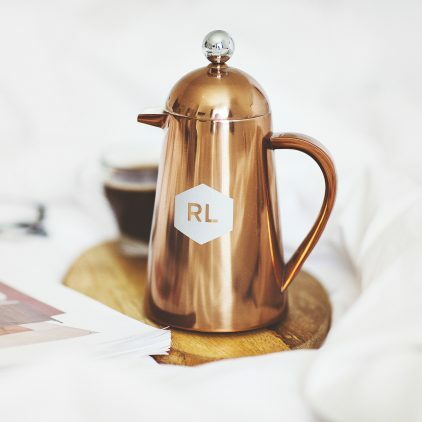 A personalised cafetiere with a measures design hand etched on one side.